Eximis Surgical team members have over 70 years combined medical device experience, 75 medical device patents issued, 70 medical device products launched and expertise in sales & marketing, R&D, operations and strategy. Their proven performance is driven by their passion to innovate products that improve patient outcomes. Meet the team. 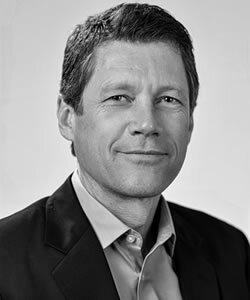 Dirk has nearly 20 years of product development experience, driving concepts into successful products in new and existing markets. He has had a primary focus on early stage engineering development across a number of industries including: medical, consumer, industrial and aerospace. 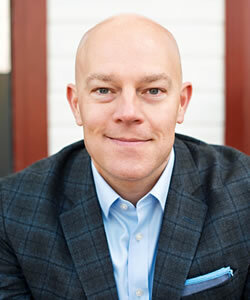 Dirk co-founded several businesses between 2008-2012 and provided engineering and consulting services to two other startup companies prior to co-founding Eximis Surgical. He holds a B.S. in Mechanical Engineering from Purdue University, an M.S. in Mechanical Engineering from the University of Minnesota, and has 3 issued patents. William (Bill) Gregg is a highly successful Research and Development team leader, manager and inventor in the medical device industry. He has over 33 years experience, 25 in medical device development, bringing high quality products and technologies to market and exceeding customer expectations. 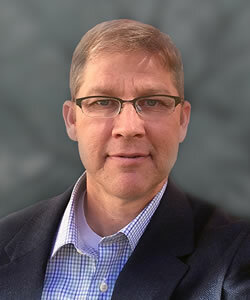 During his 17 years at Covidien, Bill held the position of Senior R&D Director leading the Energy Sources R&D department. He was challenged with redefining the standard in vessel sealing and electrosurgical generator performance and led a team of 125 multi-disciplinary engineers and scientists to meet this challenge with the release of the Force Triad™Energy Platform and the creation of the Valleylab™ LS10 Generator and Valleylab™ FT10 Energy Platform. These generators set the tone for vessel sealing in the industry going forward. Under his leadership, Bill's team released a total of five platform products that accounted for over $610MM revenue for the hardware business. Bill has a B.S. and M.S. in Electrical Engineering from the University of Missouri, is a Registered Professional Engineer in Colorado and Missouri, and holds 13 patents. Kristin is an innovative medical device leader with over 20 years experience in the development of breakthrough products where she contributed to 70 issued patents and multiple early stage platforms that today generate over $1B revenue annually. During her 17-year tenure at Covidien Kristin led multiple new platform and business innovation teams within an internal incubator. Trained in Stanford's Biodesign and Design Thinking programs, she championed and received funding for multiple new business opportunities. Prior to this Kristin led the innovation strategy and R&D team in a newly created Interventional Oncology business that launched 5 products during her 5 year tenure, with annual revenues growing from $1.1MM to $40MM. Kristin was a project leader and team member for the first commercialized LigaSure™ vessel sealing instruments, contributing to the launch of five instruments for use in Gynecology, Urology, and General Surgery. 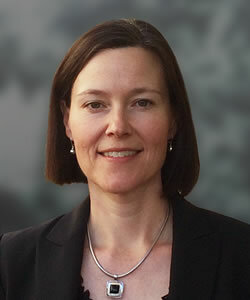 Starting in 1993 she spent three years with Guidant as a Manufacturing and R&D engineer. She holds a B.S. in Mechanical Engineering from Purdue University and an M.S. in Materials Science from the University of Minnesota. 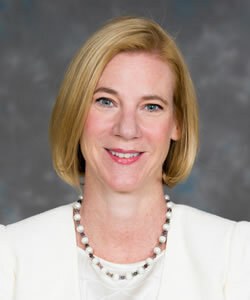 Donna Ford-Serbu, currently serves as Vice President of Sales and Marketing at JustRight Surgical. Prior to that she served as SVP, Sales and Marketing, Lead Management at Spectranetics until the company was sold to Philips in summer 2017. Prior to Spectranetics, Donna spent 13 years at Covidien, the last 3 years with Respiratory and Monitoring Solutions where she drove efforts to transform Patient Monitoring resulting in 32% growth. She spent 10 years with the Energy-based Devices division, holding positions of increasing responsibility in the areas of sales and marketing management, business development, and strategy and portfolio. Donna holds an MBA from the University of Rochester, and a BS from the University of Colorado. Ted Lamson, Ph.D. is Co-Founder and Chief Technical Officer of NeoTract, Inc., a wholly owned subsidiary of Teleflex, Inc. Ted is a primary inventor of the UroLift system for BPH and served as President and CEO of NeoTract for the first 4 years of the company and sat on its board of directors for the company's entire history. He now oversees reimbursement and health policy, clinical affairs and medical affairs under Teleflex Interventional Urology. 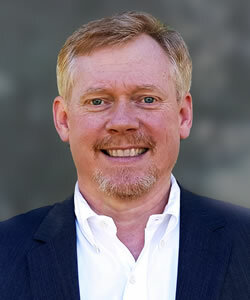 Ted sits on the board of directors for Eximis Surgical and advises several other small medical device companies. He has over 25 years experience in the medical device industry in multiple fields and holds over 70 patents, many of which represent current commercial medical products. Ted has played a leadership role in other successful ventures, such as Vice President R&D for TransVascular, sold to Medtronic, co-inventor for Acclarent, sold to J&J, and Strategic Advisor to the ExploraMed incubator, which has launched several medical device companies including NeoTract, Inc. In addition to his deep start-up experience Ted has served as Vice President in the Vascular division of Medtronic and Section Manager within the prior-owned Schneider division of Pfizer. Ted held the position of Design Engineer for the Artificial Heart Program at Penn State University where he earned a MS and PhD in Biomedical Engineering. In 2011, Ted was awarded the Outstanding Engineering Alumnus award for Penn State, where he now serves on the curriculum advisory committee to the Biomedical Engineering department. Ted also holds a BS in Chemical Engineering from Rensselaer Polytechnic Institute. Mr. Blomeyer is the President of New Deantronics and E Surgical. He is also a General Partner and co-founder of ForMED Ventures. 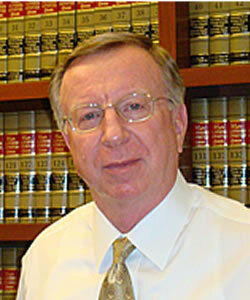 With over 40 years experience in the medical device industry he has worked with small to very large companies. He spent a decade with Beckman Instruments followed by two decades with the Hewlett Packard Company, holding several senior management positions including development of HP Medical Asia Pacific from 1982 to 1994, living in Singapore, Hong Kong and Japan. He was part of the first HP team to establish operations in China, including a manufacturing joint venture in Qingdao. Mr. Blomeyer served as CEO of Quinton Instruments from 1998 to 2001. He joined the New Dean Group in 2002 and has been integral to New Deantronic's evolution to a multi-faceted global medical device company through establishment of new companies, branding strategies and technology acquisitions. 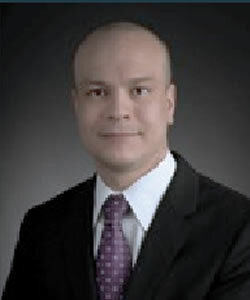 Mr. Blomeyer serves on the Board of companies in the U.S., Taiwan and Israel. He has provided consulting services to medical device companies, equity investment firms, and fundraising assistance for early stage medical device companies. Mr. Blomeyer has lead fund raising activities for charitable healthcare projects in China, India, Indonesia, Niger and the U.S. He is a graduate of California State University, Fullerton, the Harvard Graduate School of Business Executive Program and is a U.S. Army veteran. © 2019 Eximis Surgical, LLC. All rights reserved. Disclaimers & Privacy Statement.